Forgiveness by defination is the intentional and voluntary process by which a victim undergoes a change in feelings and attitude regarding an offense, let go of negative emotions which is vengefulness, with an increased ability to wish the offender well. Forgiveness is different from condoning (failing to see the action as wrong and in need of forgiveness), excusing (not holding the offender as responsible for the action), forgetting (removing awareness of the offense from consciousness), and reconciliation (restoration of a relationship). We have a divine example for forgiving others! God knew that man needed forgiveness, so He sent His Son Jesus to deliver all of mankind from the eternal consequences of their sins (1 John 4:9-10). Colossians 3:13 says, "Bear with each other and forgive whatever grievances you may have against one another. Forgive as the Lord forgave you." Jesus not only had the power to forgive, but to grant us the ability to forgive others just as we have been forgiven. When you forgive someone do you feel like you're letting them off the hook? Do you feel like you're making an excuse for their behavior? Contrary to what we may think, forgiveness isn't any of these things. It's not saying that what's wrong is okay. It's not forgetting hurt feelings. Forgiveness IS extending grace. It's commanded by God, and it's something you can do for others... and for yourself. Notice the word "give" in "forgive." 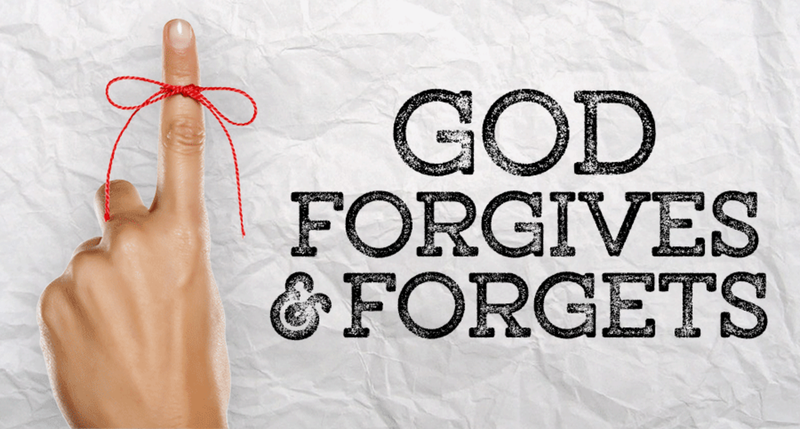 When you forgive, you give someone a gift - you waive a penalty - and you give yourself the gift of grudge-free living. When you withhold forgiveness, you not only refuse to offer what God has given to you, but you also hurt yourself. Unforgiveness bears down on your heart and gets in the way of spiritual growth. God knows it's not easy to forgive, but He wouldn't ask you to do something without giving you the strength to do it! Ask Him for the ability to forgive freely as you have been forgiven. He's the Master of the impossible! Our strength is never sufficient to grant forgiveness, especially if the hurt is deep and you were betrayed. We often pretend to mask the wounds with a smile, handshake, or other greeting, but the poisoning of the event remains deeply imbedded within. You must seek God's purification of your heart to begin building trust in the relationship. Pray for His intervention to overcome the thoughts and feelings that continue to haunt you. The Spanish have a story about a father and son who had become estranged. The son left home and the father set out to find him. He searched for many months with no success. Finally, in desperation, the father took out a newspaper ad that read, "Dear Paco, meet me in front of this newspaper office at noon on Saturady. All is forgiven. I love you, Your father." On Saturday, 800 men named Paco showed up looking for forgiveness and love from their fathers. In a fallen world, forgiveness is essential to maintain close relationships. We all need forgiveness and we all need to grant forgiveness, because we all sin and we all have been sinned against. But asking for and granting forgiveness are not easy tasks! It's not an easy subject to understand, as seen by the fact that different writers say conflicting things about forgiveness. It's not an easy subject to practice, especially on the emotional level. The deeper you have been hurt, the more difficult it is truly to forgive. But if you're a Christian, seeking and granting forgiveness are not optional. Jesus said that if you do not forgive others, the heavenly Father will not forgive you (Matt. 6:15 ; Mark 11:25). Scholars are divided over whether that refers to being under God's eternal judgment or to your relationship with the Father as His child. I favor the second option. But either way, you don't want to miss out on the Father's forgiveness! Jesus said that forgiving others is so important that if you are worshipping God when you remember that your brother has something against you, you should first go to reconciled to your brother and then come back to worship God (Matt. 5:23-24). So it is vital for you as a Christian to grapple with understanding and practicing forgiveness. The following is an exercise you should do. I believe if you are sincere the overall outcome can get you closer to God. It begins by asking the Holy Spirit to reveal every sin in your life. Take a pencil and paper and list every sin He brings to mind. As you write, confess each one of them to God. I encourage you to humble yourself before God as you do this. Give Him time to reveal everything in your life that is displeasing to Him. This list is just between you and God, so be completely honest. Tell Him everything that's wrong. Whatever your sin, write it down and remember: you have a loving God who forgives you -- who even gave His Son, the Lord Jesus, to die for you. When you have completed your time of prayer and confession, accept His forgiveness by faith, then distroy the list as an illustration of the forgiveness God has granted you. You may want to tear it into pieces or burn it to show how completely God has forgiven you. 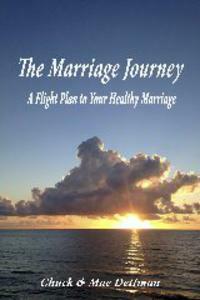 In our book The Marriage Journey: A Flight Plan to Your Healthy Marriage, we dedicate chapter 5 to this subject. This is a must have book for your marriage and all relationships. This book is available in the book store. Please consider this resource to build stronger, healthier marriages and relationships. 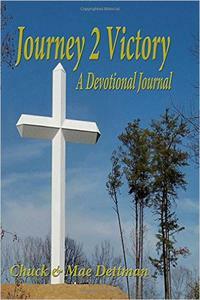 I would also like to remind you of our newest addition to the book store, Journey 2 Victory which serves as a tool to assist in healing not only marriages and relationships, but also individuals. Many times when our thoughts are committed paper God gives us comfort and 'releases' our hurt and pain. And don't forget our premium resource, our Navigational Cards. The "Cards" serve as navigation "checkpoints" similiar to most flight requirements. Each card contains a word relative to marriage. Each word is supported by a scripture for that word. The word and scripture are intended to provoke discussion, thought and strength to the both of you. Father God, I need your help and your insights. Today I have found a better understanding of forgiving others and with your help, I fully forgive from my heart. Just as you have freely forgiven me, I forgive them. Father, I ask you to forgive me for hurting others out of my own hurt and to heal my relationships with others. I pray all of this in Jesus' precious name and by whom all forgiveness and healing was made possible. Thank you for loving me in ways I'll never comprehend. In Jesus' name, Amen. Mae and Chuck began mentoring in home Bible studies and saw how their Christ-centered relationship was "different" from others. Though far from "perfect," their marriage and commitment to Christ demonstrated a peace and happiness that intrigued other couples. This became the opportunity to mentor other couples and to teach them to work at their relationship and grow their love for one another (with Christ) each day.